The makers of Hormel® Compleats® products announced today that it will match every dollar, up to $25,000, donated now through Nov. 27 to Meals on Wheels America leading up to the organization’s No Time to Wait campaign to help fight senior hunger. The No Time to Wait campaign, which launches on Black Friday, focuses on the 9 million seniors across America that face the threat of hunger. The matching donation is the latest component of the Hormel® Compleats®brand’s partnership with Meals on Wheels America to support their hunger relief efforts. During September and October, Hormel Foods donated $1 for every Hormel® Compleats®product sold, resulting in $75,000 being donated to the organization. Hormel Foods also gave all new Meals on Wheels volunteers a coupon for a free Hormel® Compleats® product during their recruiting drive this summer. The partnership with Meals on Wheels America builds on the Hormel Foods’ longstanding commitment to address hunger. 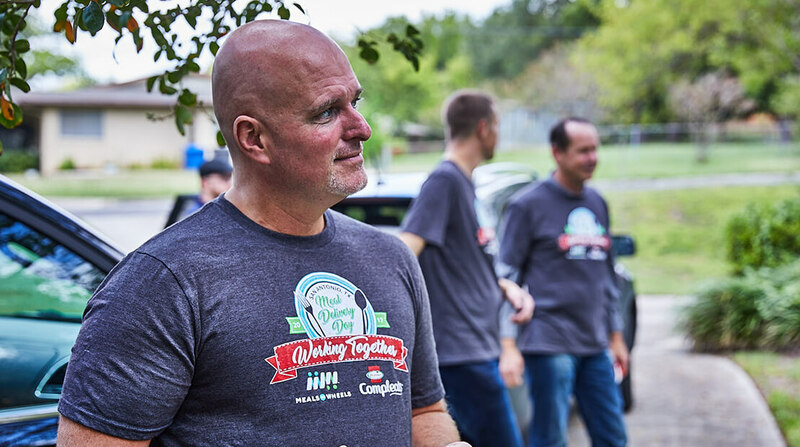 Hormel Foods collaborates with retailers, nonprofit organizations and government agencies to help with hunger relief efforts around the world. Through its programs, disaster relief efforts and other donations, Hormel Foods contributed $7.8 million in cash and product donations to help address hunger in fiscal year 2017. For more information about the Hormel® Compleats®brand, including nutritional information and where to buy, visit www.Hormel.com/Brands/Compleats.